The 2018 Top-Operators Lists feature data on the top 100 self-storage facility owners and top 50 management companies. The package includes an Excel spreadsheet and PDF analysis report. 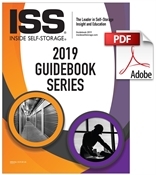 The Inside Self-Storage 2018 Top-Operators Lists are a valuable resource for industry investors, developers, owners and suppliers. See vital data on the top 100 facility owners and top 50 third-party management companies ranked by square footage. Data includes square footage owned and/or managed, number of facilities, number of units, and operating names and locations. Presented in Excel format, the lists also include contact information for key personnel and insight to companies’ expansion plans. The lists feature data on owned vs. managed self-storage facilities for companies that do both, with breakouts for number of facilities, units and square footage for each. For the second year, ISS presents separate rankings for owned and managed square feet to reduce the potential for square-footage redundancy that can occur when using only total square-footage figures for all companies in a single ranking. The package also includes a four-page report titled "Inside the Numbers: Trends and Revelations in the 2018 Top-Operators List,” as well as a full presentation of the rankings for the Top 100 Facility Owners and Top 50 Facility-Management Companies in an easy-to-read format. The report portion of the 19-page PDF analyzes growth, decline and general movement among this year's final list participants. It identifies companies in aggressive growth mode, others that are scaling back, and new up-and-comers in the business. The Top-Operators Lists are suitable for anyone who wants to do business with big industry players. Whether you’re looking to buy, sell or investigate existing and potential competition, these lists are for you. On the market to sell? Many of the industry’s top operators are looking for acquisition opportunities in the year ahead. If you offer a product or service, the top operators are strong prospects with buying power. Are you a builder? Many of our top operators are expanding in 2019 and will need construction-related services. Need a third-party management company? Many top operators provide this service and can offer you bulk buying power and branding strength. Want to take a big-picture view of industry markets? The top-ops list will show where successful companies are focusing their energy and money. 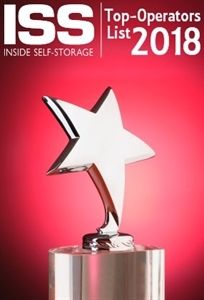 The Top-Operators Lists are compiled annually by Inside Self-Storage. Participation is voluntary and open to all self-storage operators. The list is ranked by total square footage. NOTE: This package will be delivered to your “My On-Demand Library” in a downloadable zip file folder. Your folder will contain an Excel spreadsheet and a PDF report.